Last week, after school play date was at cute indoor playground Le Petit Palais conveniently located in The Galleries Lafayette where you can shop or grab a cup of coffee. It's not our first visit, READ OUR PREVIOUS REVIEW. The miniature french town is a really sweet spot for kids fun. Both my girls ages 7 and 18 months were happily entertained. 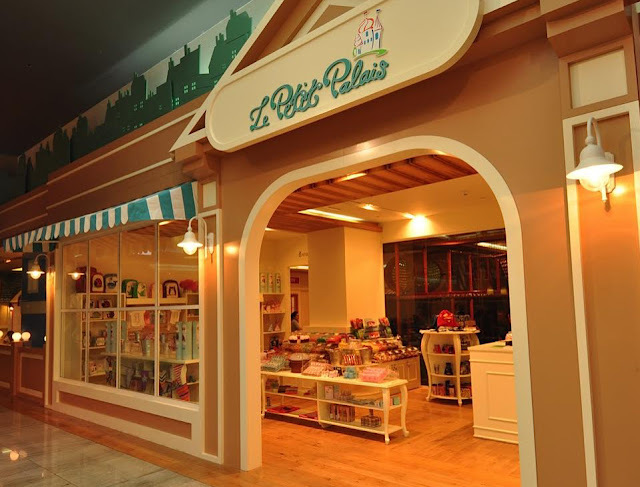 There is lots to do from a life-size play house, multi-storey soft play jungle gym, art studio, a mini supermarket, a kiddies beauty salon, two party rooms, a karaoke room and lots more. The venue is clean, bright and interactive. The staff is very involved and provide good supervision. Always impress with the "service" and friendly team. 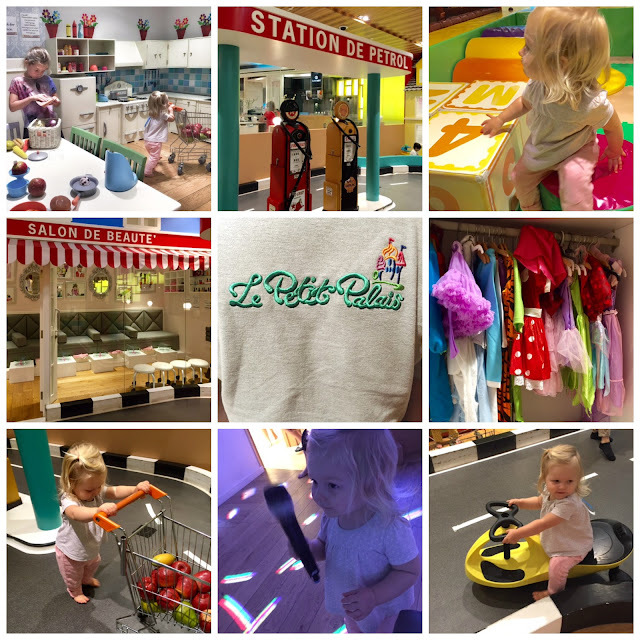 Le Petit Palais has launched Studio Art, a fun, safe and creative outlet for kids that doesn’t cost parents a small fortune (and they don’t have to clean up afterwards!) . We have not tried yet, but the set up looked great and the staff happily ready to help the little artists. Studio Art allows kids aged five and upwards to dig elbow-deep into a choice of four different art and craft projects: wood crafts or jewellery crafting projects (bracelets, earrings, and necklaces) along with designing their own bag, or simply picking up a brush and pot of paint in the paint studio. Each Studio Art sessions lasts 30 minutes and costs just AED35 per child, with all materials included. No booking necessary. Every Sunday Monday, Tuesday and Thursday. 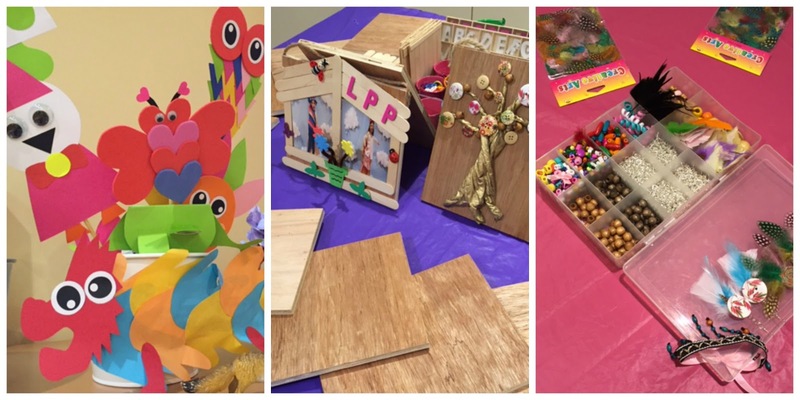 Little ones aged three to 10 can get involved in Spring-themed arts and crafts, mad science, hip hop dance and groove time, storytelling and of course, lots and lots of fun in the soft play zone and miniature French town for kids! Spring Camp runs on weekdays, from 10am to 3pm from March 24th to April 10th. Grab your baskets for some fun, and join the team on an egg hunt. Activities at the party include Easter-themed arts and crafts, play time with Mr. Bunny, egg decoration, a carrot toss, bunny hop sack race and lots more! March 24th, 4pm-7pm. AED100 for members. AED120 for non-members.